Do you want to take beautiful images of people? Once you understand a few simple principles you will be able to take better portraits of your subjects! Our goal in photography training is to show you how to create high-quality photos whatever level you are at. Learn to use natural posing and control light effectively. Have a go at using professional photographic studio, Paul will be available to guide you to taking great pictures. Take your picture taking to new levels, practice new skills with assistance from a photographer with 20 years experience. The art of posing people for great portraits. When you understand how people stand and move, the effect lines, hands and different stances have, you can control the image mood, while creating images that look natural. Creating mood and using light to enhance your subject. Light has intensity, quantity, quality and direction. If you understand light you can take amazing pictures with flash, daylight or almost any artificial light source. 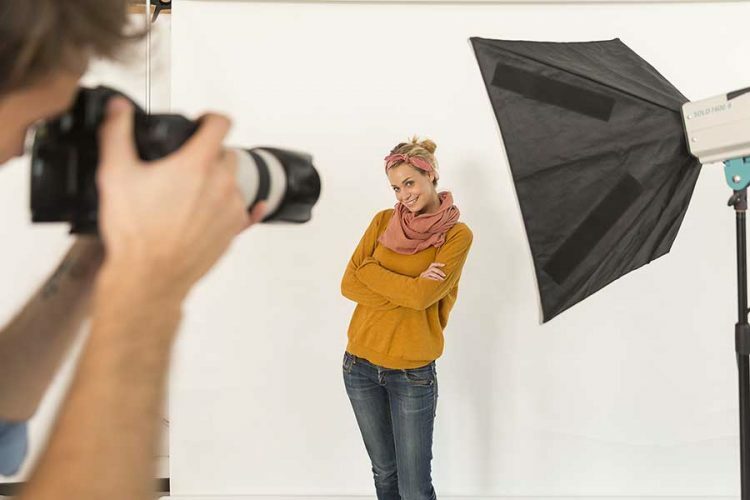 Learn by example and take your own portrait images in our professional photographic studio.